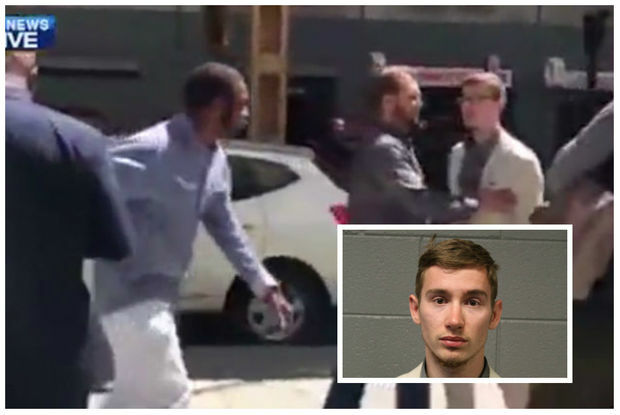 William Boucher, 23, faces three counts of misdemeanor battery charges after getting into a racially charged fight last month at a Loop Starbucks. ROSCOE VILLAGE — Gerald Mitchell was shocked by the racist tirade at a Loop Starbucks that went viral last month, but he can't say he was surprised. "With today's times, you never know what to expect," he said. Mitchell was one of two alleged victims who attended the Wednesday court hearing for William Boucher, a 23-year-old day trader and entrepreneur who was caught on videotape punching a man and hurling racial slurs at black people after a coffee spill last month at the Starbucks near State and Lake streets. Wednesday marked the first court appearance for Boucher, who faces up to 364 days in county jail after the televised tirade. Boucher, who declined to comment, has been charged with three misdemeanor counts of battery and was assigned a public defender during the hearing at Belmont and Western avenues. 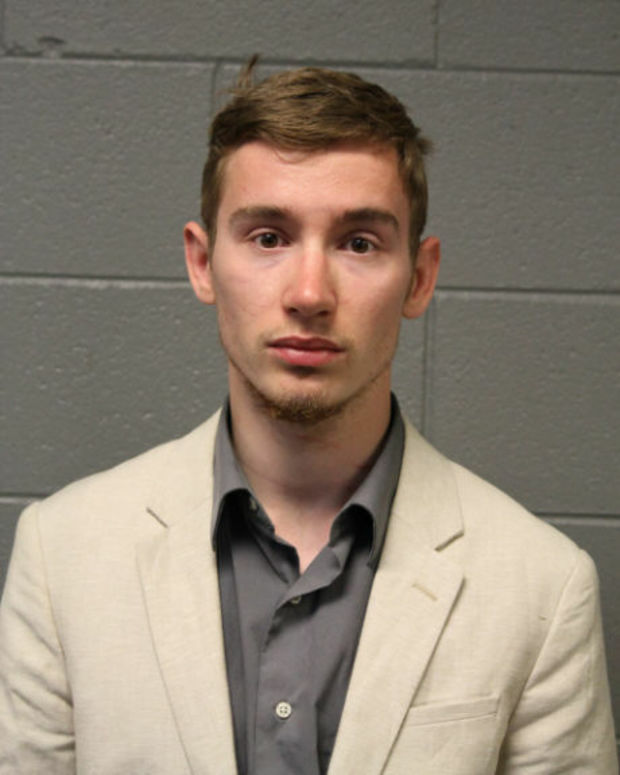 Boucher allegedly began punching people and calling victims "disposable vermin" and "slave" after a black man spilled coffee on him June 6 at the Starbucks, 40 W. Lake St.
“Shut up slave! Do not talk to me!” he said to a black man in a video capturing the rant that was shot by an ABC7 cameraman. He also referred to the man who spilled coffee on him as livestock, and sent another 59-year-old black man to the hospital after punching him under the right eye. He also allegedly spit on a police officer, prosecutors said Wednesday. “Get on all fours! Do not walk on those two legs! You don’t deserve to walk on two legs, vermin,” Boucher said in the video. Mitchell said after the hearing that he "restrained" Boucher for 13 minutes until officers arrived to the scene. Boucher hurled spit and a slew of insults at Mitchell as he attempted to break up the mid-day street fight Downtown last month. "I try to, you know, see good in people, but ... I don't know what to say," Mitchell, 30, said. "Hopefully [Boucher] will learn something from it." Mitchell was ordering a latté at the shop when he noticed the fight and attempted to break it up. He said he pinned Boucher to the street until police arrived. The police officer Boucher allegedly spit on, as well as Assistant Cook County State's Attorney Jeff Allen, declined to comment after the hearing. 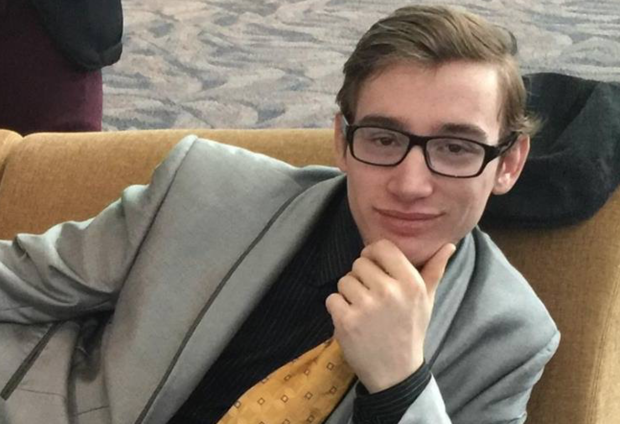 Boucher told Associate Cook County Judge Anthony John Calabrese on Wednesday that he makes about $1,200 per month trading stocks online and running two marketing firms. Boucher asked for a public defender and Calabrese continued the case to Aug. 17 so that defense and prosecuting attorneys could their complete discovery process. The prosecutor, Allen, said one key piece of missing evidence is surveillance footage captured by the Starbucks store. The public posts on Boucher's Facebook page contain many references to his belief in God and his hopes of becoming a successful businessman. Several photos show him posing with diverse groups of people at events for entrepreneurs. In one post, he comes to the defense of a Muslim woman wearing a hijab who was kicked out of a Donald Trump rally in January of 2016.